The SportDOG SportHunter® 1825 or WetlandHunter® 1825 puts you in confident control with up to 24 stimulus levels and a choice of momentary or continuous correction. Vibration and tone options further help you build a customized training system to guarantee the best performance from your dog. With 1 mile of range, a slim-profile collar receiver that ensures a perfect fit and a compact transmitter that's easy to handle. 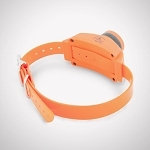 Control up to 6 dogs by adding SportDOG Brand® Add-A-Dog® collars.